LEXINGTON, KY (March 29, 2019) – Keeneland welcomes spring to the Bluegrass by kicking off its 2019 racing season a day earlier than usual with a special opening-day celebration on Thursday, April 4, headlined by a 3 p.m. post time, the inaugural Palisades Turf Sprint and Central Bank Thursday Night Live at Keeneland. Keeneland Library celebrates its 80th birthday with two new exhibits – “From the Vault: Jockeys,” comprising 26 historic images of jockeys dating from the late 1800s to the mid-20th century, and “Herbert Haseltine: The Gold Standard,” featuring two prominent works by the noted sculptor. Gates open at 1 p.m. with a first race post time of 3 p.m. Among the eight races on the card, which concludes at approximately 6:55 p.m., is the inaugural running of the $100,000 Palisades Turf Sprint for 3-year-olds at 5½ furlongs on the grass. Keeneland teams with Downtown Lexington Partnership to host Central Bank Thursday Night Live for the first time at the track. The event will take place in the Paddock area beginning at 7 p.m. Live music provided in partnership with The Burl, a popular live music venue in Lexington, will be featured throughout the race day. To kick off the fun, Keeneland will host a jockey autograph signing to benefit the Permanently Disabled Jockeys Fund from 1:30-2:30 p.m. near the Walking Ring. Information on reserved seating and dining reservations for opening day is available on Keeneland.com. Race-day parking is free and General Admission to the track is $5. This spring, Keeneland will offer record average daily purse money of $768,500, among the richest in North America. The lucrative racing program annually attracts the nation’s leading owners, trainers and jockeys, who come to Keeneland to compete with the best in Thoroughbred racing. New this spring are the $100,000 Palisades Turf Sprint, for 3-year-olds going 5½ furlongs on the grass, scheduled for opening day, April 4, and the $100,000 Limestone Turf Sprint, a 5½-furlong grass race for 3-year-old fillies that will be run Friday, April 12, as a supporting feature of the prestigious $300,000 Maker’s 46 Mile (G1). The addition of these two turf stakes for 3-year-olds provides more opportunities for horsemen and speaks to the growing interest of major connections to use the grass stakes at Keeneland to prepare for summer campaigns, including England’s prestigious Royal Ascot. The two new turf sprints enrich a season anchored by blockbuster stakes racing on the first two Saturdays and one that spotlights leading 3-year-olds with classic aspirations. Opening weekend features nine stakes anchored by the $1 million Toyota Blue Grass (G2) and the $500,000 Central Bank Ashland, major preps that award 100 points each to the winner on the roads to the Kentucky Derby (G1) and Kentucky Oaks (G1), respectively. Breeders’ Cup Juvenile Turf Sprint (L) winner Bulletin is scheduled to make his season debut in the opening-day Palisades Turf Sprint. Bulletin is one of several Breeders’ Cup winners from last year probable for opening weekend stakes. Champion Jaywalk, winner of the Tito’s Handmade Vodka Breeders’ Cup Juvenile Fillies (G1), is likely for the Central Bank Ashland (G1), and Breeders’ Cup Filly and Mare Sprint (G1) winner and champion Shamrock Rose is pointing for the Madison (G1), both on April 6. Shamrock Rose won the Lexus Raven Run (G2) at Keeneland last fall prior to her Breeders’ Cup victory. The aforementioned Maker’s 46 Mile, for older horses on the turf, and the new Limestone Turf Sprint headline Friday, April 12. 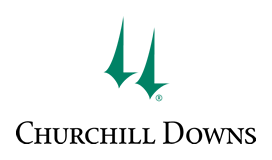 The second Saturday of racing, April 13, is another blockbuster day centered around the $350,000 Coolmore Jenny Wiley (G1), a 1 1/16-mile race for fillies and mares on the turf, and the $200,000 Stonestreet Lexington (G3), for 3-year-olds at 1 1/16 miles. One of the final preps on the Road to the Kentucky Derby, the Stonestreet Lexington awards the winner 10 Derby qualifying points. The day’s other stakes are the $200,000 Ben Ali (G3), for older horses racing 1 1/8 miles, and $100,000 Giant’s Causeway (L), a 5½-furlong turf race for fillies and mares. The final days of the Spring Meet offer a trio of graded stakes for older horses. 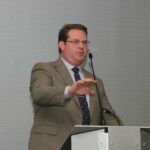 The $100,000 Hilliard Lyons-Baird Doubledogdare (G3), for fillies and mares at 1 1/16 miles, will be run Friday, April 19, followed the next day by the $250,000 Dixiana Elkhorn (G2) at 1½ miles on the turf. No racing will be held Easter Sunday, April 21. The April 26 closing-day feature is the $150,000 Bewitch (G3), for fillies and mares racing 1½ miles on the turf. This spring, Keeneland welcomes Gabby Gaudet and Scott Hazelton as hosts of “Today at Keeneland” and as Paddock commentators offering expert handicapping analysis between the day’s races. 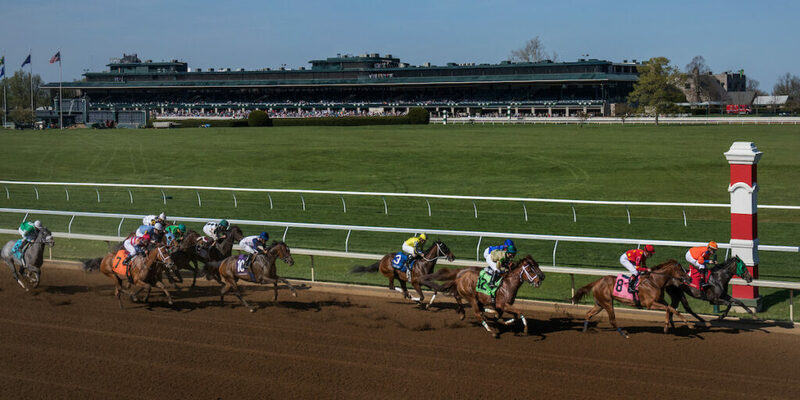 “Today at Keeneland,” a 30-minute live, on-site program beginning at 11:30 a.m. on race days, previews the day’s card for on-track and simulcast patrons and includes handicapping picks and discussion of horses of interest. The program will air nationally on TVG2, locally on The CW Lexington and WKYT.com and stream live on Keeneland.com, Keeneland Select and Facebook Live. “Today at Keeneland” is based at Wagering Central on the first floor Grandstand, where fans are welcome to watch the live program. TVG and NBC Coverage; Keeneland Magazine on TVTVG will provide extensive live, on-site coverage of every Keeneland race during the Spring Meet. 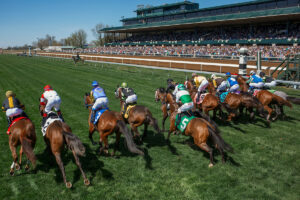 Coverage begins at 2 p.m. on opening day, April 4 and at noon for the remainder of the meet when the first post is 1:05 p.m.
NBC Sports Network will offer a live broadcast of the Toyota Blue Grass and a recap of the Central Bank Ashland as part of its racing coverage on April 6 from 5:30-7:30 p.m. 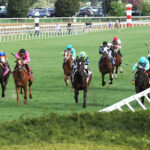 Fans may will watch free live streaming of races on Keeneland.com and the Keeneland Race Day App. Replays of Keeneland races are available at no charge at Keeneland.com/racing/race-replay and on the Keeneland Race Day App. The popular Keeneland Magazine on TV will air Sunday, March 31, from noon-12:30 p.m. on WKYT, and from 5:30-6 p.m. on The CW Lexington. WinStar Farm, Castle & Key distillery, the Lexington Mounted Police Unit and The Kentucky Castle will be featured. The Keeneland Shop recently unveiled its newly remodeled retail space, which changed the interior layout and upgraded the décor to better serve guests and showcase merchandise. Other improvements include a centralized point of sale, and improved lighting and digital displays to enable live streaming of races. A complimentary shop and drop service allows guests to leave their purchases in a safe location while they enjoy the rest of the race day. Among the unique products are apparel and hats, home accessories, jewelry, artwork and gift items from such top vendors as The Beaufort Bonnet Company, Peter Millar, Barbour, Draper James, Darren K. Moore, Longchamp, Crittenden, Henry Dry Goods and Catstudio. The Keeneland Shop will host “Taste of the Races” on Tuesday, April 2, from 4:30-7:30 p.m. Shoppers will enjoy specialty spring cocktails provided by Grey Goose. The first 200 attendees will receive their complimentary cocktail in the all-new Keeneland Heritage Catstudio glass as a gift. Shoppers also will receive an exclusive 20-percent discount on all in-store purchases (some exclusions apply), on-site personalization from Barbour and other special offers. Keeneland offers opportunities throughout the Spring Meet and beyond for fans to learn about racing, sales and the Thoroughbred industry. Sunrise Trackside (Saturday, April 6, 13, 20) – The day begins early for racehorses. Keeneland invites you and your family to experience their mornings with Breakfast With the Works, which features breakfast for purchase and trackside commentary while horses train on the main track (7-8:30 a.m.). The morning includes children’s activities in the Kids Club Corner, guided Keeneland tours, an equine-related Paddock demonstration and a Q&A session with a jockey in the Paddock. The Hill (Friday and Saturday, weather permitting) – Fans who like to tailgate will enjoy the festive atmosphere of The Hill, where they can watch races on a jumbo TV and place wagers. The Hill also features food trucks, The Keeneland Shop kiosk and complimentary shuttles to the track. Music presented by The Burl from noon to 4 p.m.
Keeneland Library – Celebrating its 80th anniversary, the Keeneland Library is one of the world’s largest repositories of information related to the Thoroughbred. In its exhibit “Herbert Haseltine: The Gold Standard,” visitors will see two prominent works from the latter period of the acclaimed sculptor of the early 20th century: “The Thoroughbred Horse” and “Portrait of the Racehorse Tom Fool.” The exhibit “From the Vault: Jockeys” features 26 images dating from the late 1800s to the mid-20th century from the Library’s archive of more than 1 million negatives and photographic prints. Varied memorabilia from Hall of Fame jockeys Eddie Arcaro, Ted Atkinson and Bill Shoemaker accompany the photographs. The Library is open weekdays from 8:30 a.m. to 4:30 p.m.
Maker’s Mark Bottle Signing (Friday, April 12) – Sales of commemorative Maker’s Mark bottles have raised millions of dollars to benefit deserving causes in Central Kentucky. Fans can have their 2019 commemorative bottle, which honors the 2011-12 UK men’s basketball national championship team led by Coach John Calipari, signed at the Keeneland Entertainment Center beginning at 7 a.m. All tickets for the bottle signing are free and will be distributed via the online system on Keeneland.com beginning Monday, April 8, at 8:30 a.m. One ticket entitles the holder to have two 2019 Maker’s Mark commemorative bottles signed. Military Day at the Races Presented by Marathon (Sunday, April 14) – All active and reserve military and their families will receive free general admission and access to reserved Grandstand seating with military I.D. Military families are invited to enjoy free food and children’s activities in the North Terrace from noon to 4 p.m.
Horses and Hope Pink Day (Thursday, April 25) – Fans are encouraged to wear pink to support Horses and Hope, which works to increase cancer awareness, education, screening and treatment referral among Kentucky’s horse industry workers and special populations across the commonwealth. The Spring Meet is further enhanced by the return of Keeneland’s April Sale on Tuesday, April 9, which this year features 2-year-olds and horses of racing age. The sale begins at 2 p.m. Keeneland will host a Preview Day with breezes by cataloged 2-year-olds over both the dirt track and turf course on Monday, April 8, beginning at 11 a.m. The April Sale catalog may be viewed online by clicking here. The horses of racing age section includes Daily Racing Form past performances, and Thorograph and Ragozin sheets. Sellers also have the opportunity to submit professional walking and/or conformation videos and professional photography of the horses to accompany this information. Keeneland conducted its April Two-Year-Olds in Training Sale from 1993-2014. The April Sale has a proven record of success, having produced champions Lady Eli and Roy H in its most recent edition in 2014. The auction counts six classic winners among its graduates: Belmont (G1) winner Palace Malice; Preakness (G1) winner and champion Lookin At Lucky; Kentucky Derby (G1) and Preakness winner and champion Big Brown; Kentucky Derby and Belmont winner and champion Thunder Gulch; and Kentucky Oaks (G1) winners Keeper Hill and Gal in a Ruckus. Champion Beautiful Pleasure also is an April Sale graduate.